Looking for your new holiday cookie to impress? Look no further! I took a cookie I have loved for years and added a little of this, a little of that and made it the ultimate holiday cookie that will knock out all other cookie competitors. To say these are delicious is an understatement and my husband can testify for me. Their is currently one left from the batch and I just made them a couple days ago. Normally I would leave the last one for my toddler or husband being the amazing mom and wife that I am, but I’m nine months pregnant so all food must go straight to baby! Ha! 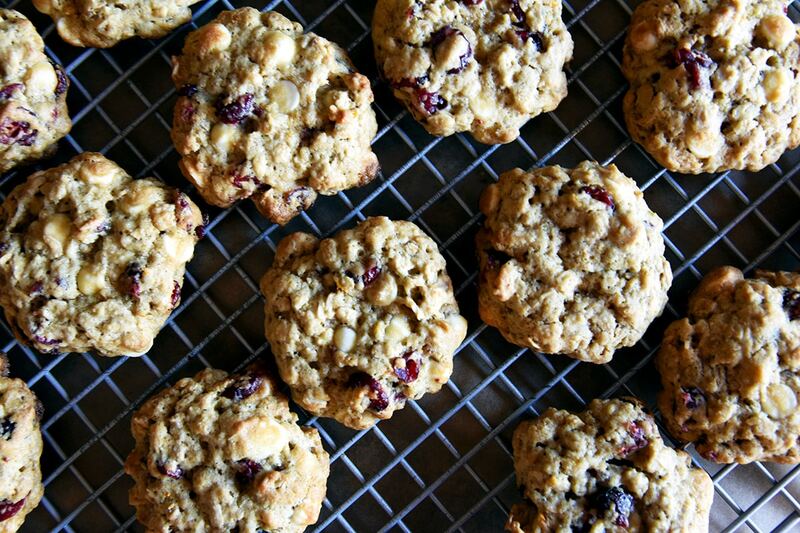 White chocolate chips, dried cranberries, orange zest and juice make these delectable cookies taste so amazing. Adding the zest of the orange right into the batter allows the cookie to be infused with flavors of tantalizing citrus and spice. While adding the juice of the orange into the glaze gives that perfect balance of orange flavor all around. My favorite way to eat these is just after the frosting has cooled slightly and the white chocolate inside is still warm and gooey. One other important ingredients is the oats, allowing the perfect texture and chewiness of this cookie. 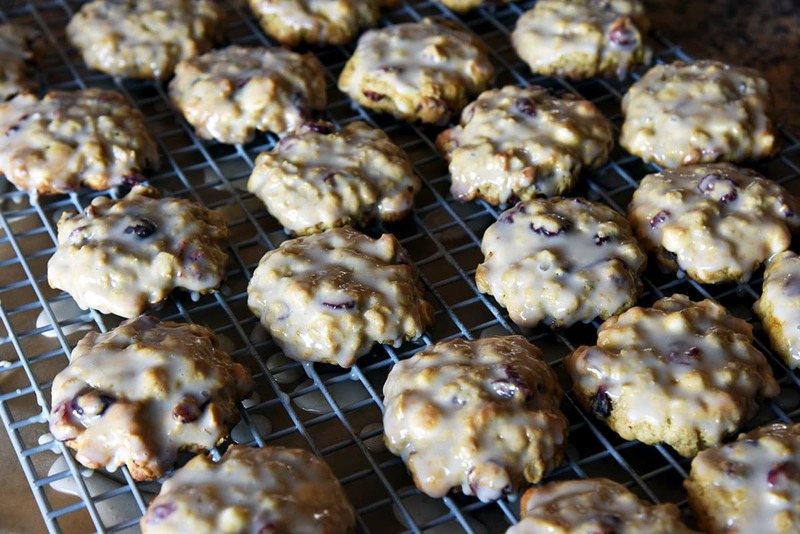 I’m challenging anyone who bakes for holiday cookie swaps to give this delectable cookie a try! You will not be anything but overly excited at the exceptionally delicious results! Glazed Knockout Holiday cookies… P.S. My favorite white chocolate chips are back in at Trader Joe’s!!! They are a seasonal item so get them before they are gone!